Beautiful vampire Anna, is entangled in a social conflict between human and vampire races. The Vampire Infection they'd thought could uncover medical miracles has spread out into the city. Carrier Vampires who can infect people with the blood lust disease have been detained in an attempt to halt the spread. Non-carriers have been left to normal lives, treated with sedating medication. But there were still too many accidents, it's been decided by Alicorp to assign human protectors - mandated by law. These protectors are know as....Guardians. Anna falls in love with her guardian, a man who wants to find a cure, but the more she learns about him and his association with Alicorp the harder she finds it to trust him. Really good idea for a vampire story, dark but good. 2.5 Stars. Anna was infected with the vampirism virus eight years ago by a one night stand. She spent two of those years in a "testing clinic", aka torture chamber, being experimented upon. Now she has learned she has also recently caught the carrier virus which means she can no longer bite or feed directly from anyone or she can turn them into a vampire. She has an angsty, damaged personalty which was magnified by the virus. 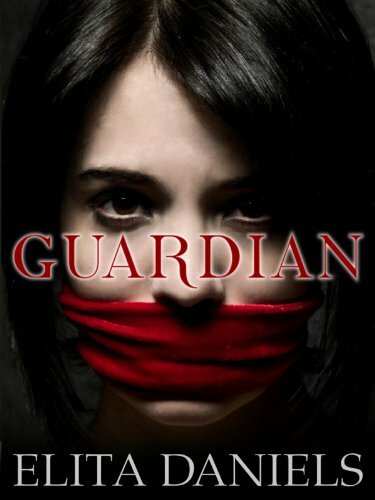 In the story, she falls in love twice, once with her new Guardian, sorta like "a parole officer for vampires", and with a young man who attempted to pick her up in a diner earlier in the story. Unfortunately the story, in my opinion, suffers from quite a bit of unfinished editing resulting in what appears to be a very rough writing style which should have been fixed in the editing stage. In fact if an editor hadn't been listed, I'd think it hadn't been edited at all. Some might think it is because the author is from North Queensland with a different vocabulary. That is not the problem at all. It may seem as if I am being overly harsh on this point but I feel the author was cheated out of a final product which could have been so much better with good editing. The story ends rather abruptly at a point in the story where the action is starting to heat up which makes me think there will be a sequel. The story's plot itself is good enough to make me interested in reading the sequel. Some dark urban fantasy fans and horror fans may like this book.